I was at a Brisbane-run Hogswatch in July celebration a couple of years ago, wandering through the stalls. I knew a couple of the stall holders, but there were people there I hadn’t met before. 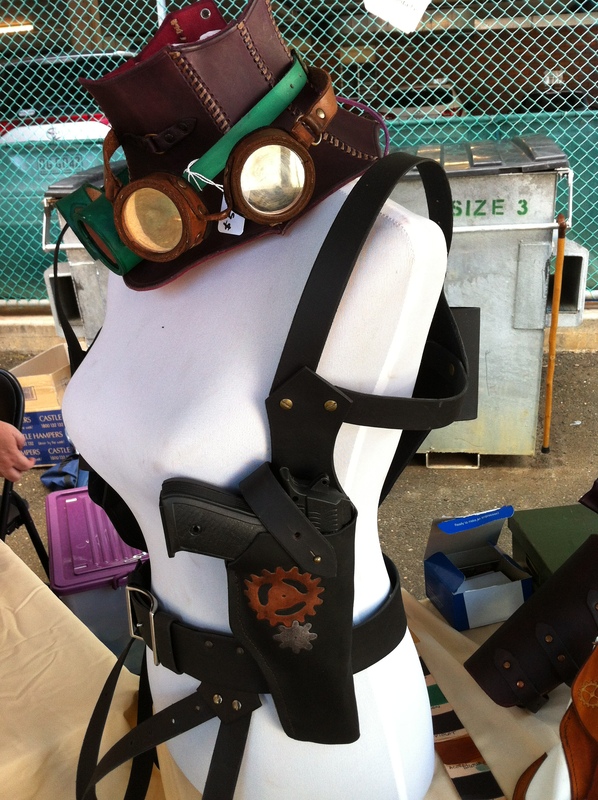 One couple were running a leathercraft stall that had Steampunk hats and accessories, as well as an assortment of other lovelies. As I spoke with them, I was immediately stuck with their personal charisma and creativity. This was my first meeting with Susan and Raven Wolf of Wolf Crafts. There are so many differences, from the neo-Victorian dandy to the post-apocalyptic road warrior, they can all be Steampunk. 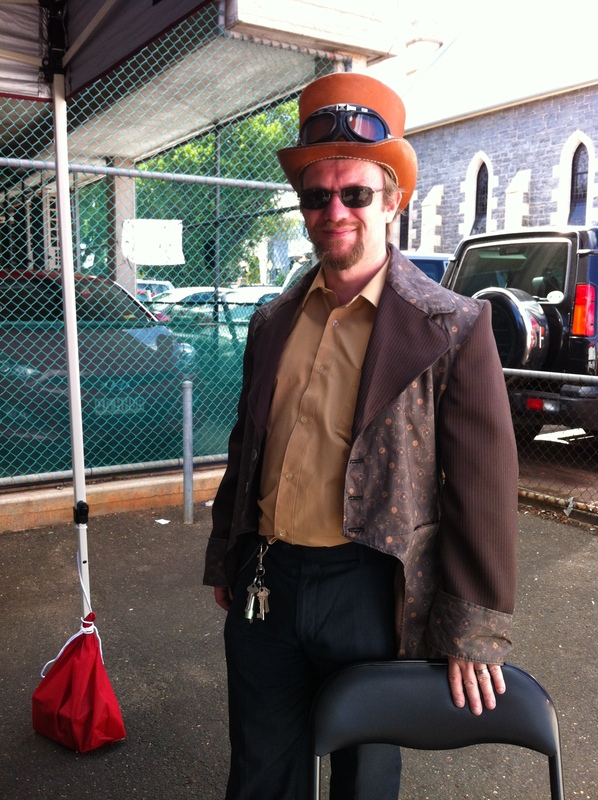 As well, Raven surfs online for inspiration for his Steampunk leathercraft. He plans to keep making Steampunk-inspired items, and hopes to expand his skills as he challenges himself with making new pieces. He makes leather hats, harnesses, holsters, masks, gauntlets and corsets, as well as a range of smaller accessories. All of the leather accessories that he and Susan wear are of his own design and craftsmanship. I have attended several workshops with Susan and Raven. They are both enthusiastic to try new things, and happy to help the less talented (like me) with creating Steampunk gadgets and accessories. 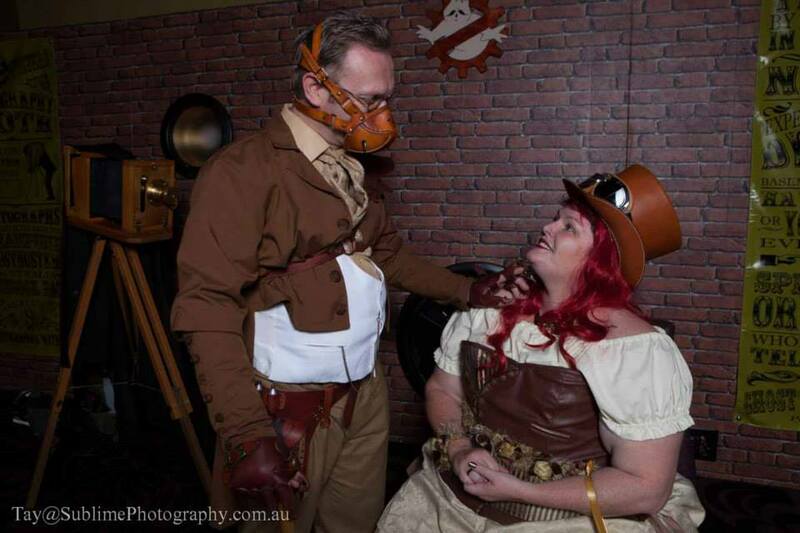 It is families like these that are the backbone of the Steampunk community in Southeast Queensland.